Founded in 1989 by Nathalie Dufour, with the French Ministry of Culture and the DEFI (supervised by the French Ministry of Industry) as historical institutional sponsors, ANDAM (National Association for the Development of the Fashion Arts) was conceived from the beginning as a structure for recognizing and assisting young designers on the French and international fashion scene. The founding of ANDAM constituted a decisive step forward and the first public initiative in the promotion of young fashion talents. 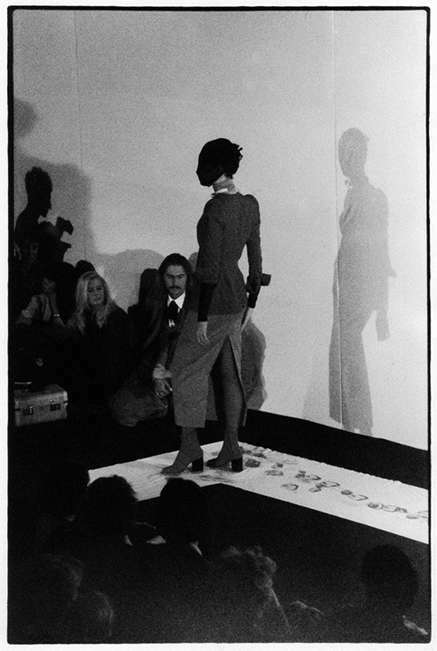 Martin Margiela was awarded as the first ANDAM fellowship winner in 1989. ANDAM unites and coordinates the institutional and private players of the fashion industry to develop strategic and transversal actions in favour of young designers and Paris influence, as the world’s fashion capital. Each year, through its four prizes, the ANDAM Fashion Awards offer a financial and logistic support to fashion designers chosen after a long and in-depth process of sélection, contributing to the vitality and durability of the Fashion creative industry. Beyond the competition, ANDAM’s annual core mission is to guide and advise the young fashion brands in their structuring and development and introduce them to the various actors of the fashion industry (manufacturers, know-how, luxury groups, journalists, institutionals, press office).